Renting is much more prevalent these days than purchasing a home. Many times, people who are relocated prefer to stay in a rental before deciding to purchase a more permanent living solution. 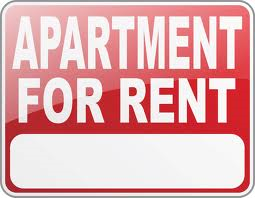 Renting is also great for individuals who want to explore a new city but don’t want to stay there permanently. Laundry. Typically, apartment complexes do not include a washer and dryer in the units themselves but have a common laundry area. Sometimes, washer and dryer hook-ups are available in the units and it might be wise to consider purchasing a washer and dryer or you can rent these. Azuma Leasing rents washers and dryers for a small monthly fee. They are located in most of the states, excluding New England and many of the northern states. If you are okay with sharing a common laundry area, be sure to take note of where the facilities are located in relation to your unit; if weather will be a factor or if you have to climb stairs with your heavy laundry. Refrigerators. Sometimes, this is an appliance that is not included in your rental. Azuma Leasing also rents refrigerators or you can consider purchasing one. Proximity. Be sure you find out how close you are going to be to your neighbors and what types of sound proofing (if any) the complex has utilized for noise cancellation. Opting for a top floor unit will eliminate noise from overhead but not necessarily next door. Storage. Most apartments do not typically offer ample closet space. Sometimes, a unit will come with a storage unit on the balcony. If the unit you want doesn’t have enough room to store your belongings, there are alternatives. Certain furniture items come with built-in storage. There are other organizational tricks online that will help you maximize your space without cramped living. Decor. You found the perfect rental within your price range and area but don’t like the outdated feel of the interior of the apartment. Ask your landlord if you could do some small repairs, painting, and updating for a discount in your rent. Be sure that it is agreed upon in writing and be sure you know of any limitations so you don’t get charged for these updates later on. Most of these items are not necessarily deal breakers but they are important factors to consider before you get into a year-long lease.